Jacqueline K. Graves practices in the Firm’s Litigation Department. Jackie is an experienced litigator with a diverse practice representing a range of businesses and individuals on both the trial and appellate court levels. In particular, she has extensive experience representing lenders, where she has prosecuted complex suits to recover from borrowers and guarantors on multi-million dollar loans. Another major area of her practice involves trust and estate litigation, where she has prosecuted and defended trust and will contests, trust reformations, and actions against trustees. Jackie also has a robust municipal law practice, regularly advising cities and agencies on a number of issues from the Sunshine Law to complex litigation, including the use of eminent domain. She regularly defends municipalities and police officers against civil rights claims. In addition, Jackie has served as the prosecuting attorney for municipalities in the St. Louis area, including the City of Kirkwood and the City of Maplewood. Jackie regularly practices before state and federal courts in the bi-state region. 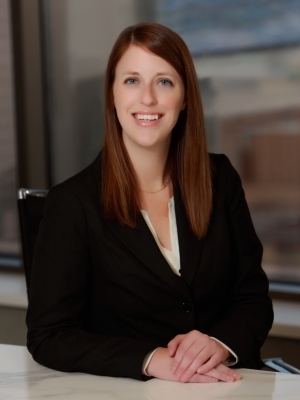 Jackie serves on the boards of Aim High St. Louis and the Women Lawyers’ Association of Greater St. Louis. She is also a member of the Bar Association of Metropolitan St. Louis’ Communications Committee. In law school, Jackie served as an editor of the St. Louis University Law Journal. She was a member of the National Moot Court Team, winning second place at the Andrews Kurth Moot Court National Championship. She also received the Judge Robert G. Dowd, Sr. Appellate Advocacy Award. Jackie is a member of the Firm’s Recruiting Committee.